Last month, it was the purchase of a historic landmark building in Madrid; now it is waterfront property in Chicago. As part of a recent property-buying spree, Beijing-based DalianWanda Group Corp said it is acquiring a 90 percent stake in a project for high-end residential, commercial and hotel units in what its chairman says is the first of several planned moves in the United States. "Investing in Chicago property is Wanda's first move into the US real estate market," Wang Jianlin, the billionaire chairman of Wanda, said in a statement about the investment that was announced on Wednesday. He said that within a year, his company will invest in other five-star hotel projects in major US cities such as New York, Los Angeles and San Francisco. Wanda Group said it is putting $900 million into the Chicago property. The Magellan Group, a Los Angeles-based property firm, will hold the remaining 10 percent. The firm declined to comment on the deal. Work on the downtown waterfront project is set to begin this year, with completion scheduled for 2018. Its centerpiece is an 89-floor skyscraper, which would be the third-tallest building in Chicago. It will house a 240-room five-star hotel, luxury apartments and a commercial center. "The hotel business in Chicago is tough, it can be tricky. Wanda will have a long way to go in terms of fruition, but the brand has had a record of successes outside the US," Hans Detlefsen, managingdirector at HVS Global Hospitality Services in Chicago, told China Daily. "Given the unique location of the Chicago property and its unobstructed waterfront views, there is great potential to develop the site into a true landmark of Chicago," the firm told The Wall Street Journal. It added that the current lack of luxury condominium units in downtown Chicago is another plus. The site is located in the affluent Lakeshore East area, within walking distance of many of the city's popular draws, including Michigan Avenue and the theater district. It will be Wanda Group's third overseas five-star hotel project. Last month, it bought a landmark building, the Edificio Espana, in Madrid for $362 million from Spanish bank Banco Santander SA. In 2012, Wanda spent $1.18 billion on a luxury hotel and apartment project in London. Wang said that by 2020, his company hopes to have five-star hotels in 12 to 15 major cities around the world. Wanda made headlines in 2012 by purchasing US theater chain AMC Entertainment Holdings Inc. 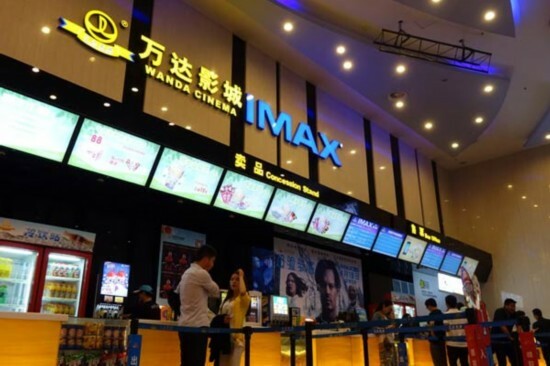 But last week, Wanda Cinema Line Co was denied a listing on the Shenzhen Stock Exchange, according to Singapore-based Live Trading News website. The China Securities Regulatory Commission said the company had presented insufficient information on its application. Wang said he was not worried about the blocked IPO. "As long as we make profits, we can go public anywhere and on any platform. If the mainland does not allow us to go public, then we can pack up our capital and go public in Hong Kong. We have all sorts of platforms," he told the website.